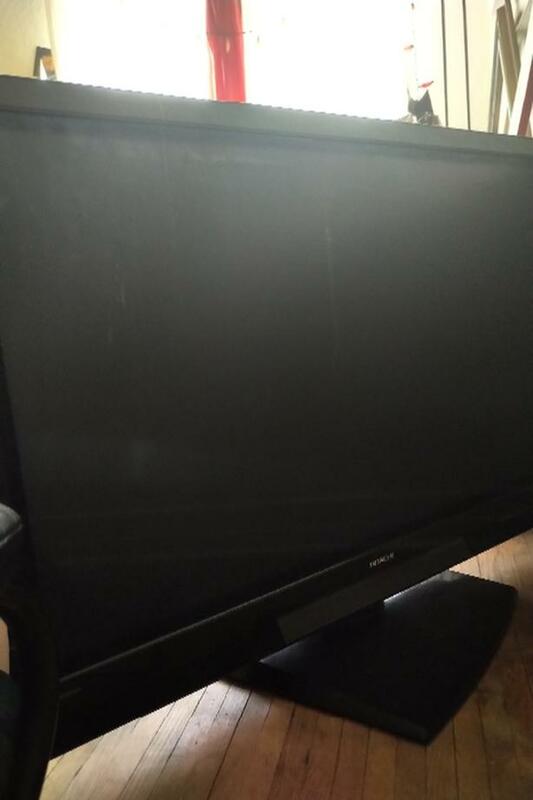 To give away: 50" Hitachi plasma television. Not working. Approximately 10 years old. 2 capacitors blown. Boards not checked for damage. Pick up only. Cannot deliver or move. Bring your own helpers. As is.